I have never played chess outside of the United Kingdom, so I decided to give Gibraltar a try this year. For a sunlight deprived Scot Gibraltar is a more appealing location than (for example) Hastings, and there is also a very strong open (starting tomorrow) so there should be some interesting games to watch. The venue for the tournament is the Caleta hotel on the East side of the territory. 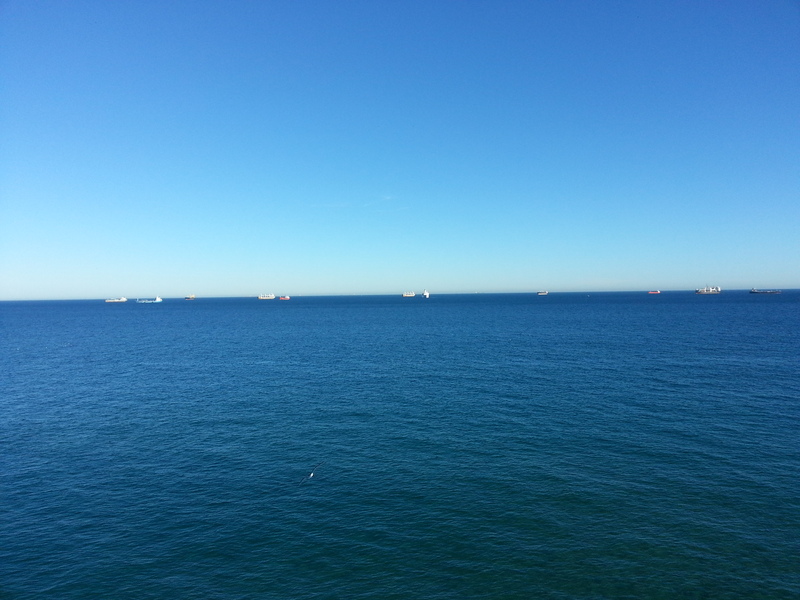 I have following view of the Mediterranean from my room in the hotel. The tournament has been running for thirteen years, and has become very popular. The playing conditions are excellent, although the air conditioning in the tournament hall is a bit aggressive. During the following game my opponent changed from a summer dress to a tracksuit while sat at the board! I am playing in the week 1 amateur tournament for players rated under 1900 FIDE. In terms of rating the field is pretty closely bunched together. My FIDE rating is 1809, and I am the 14th seed. I started the tournament with black against Kimiya Sajjadi (1634), a 15 year old Norwegian, and was very lucky to win. The computer rates this position as equal, although I feel it is slightly easier for black to do something constructive. 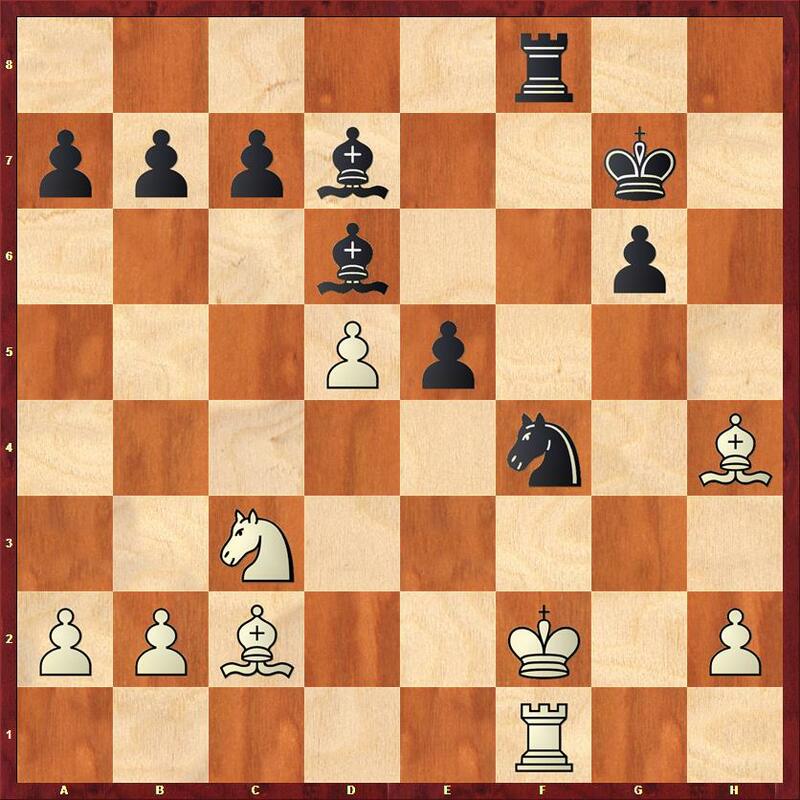 I now have a decision to make – do I start attacking the kingside with my pieces, or do I use pawns. Didn’t see that one coming. Quite by luck this isn’t actually winning for white, but there is only one good move. By accident I found it. Over the board I correctly evaluated 16…exf4 17.e5 Nxd5 18.Qxd5 as basically being losing for black, but I didn’t see that after 16…Nfxe4 17.fxe4 Rxf4 black is picking up the d pawn with check after 18.Bg3. Fortunately I did work out that 16…gxf3 seemed to lead to a better version of the 16…Rfxe4 line. My opponent used most of the rest of her time in this position, and found the best move. I had seen 20.Kh1?? 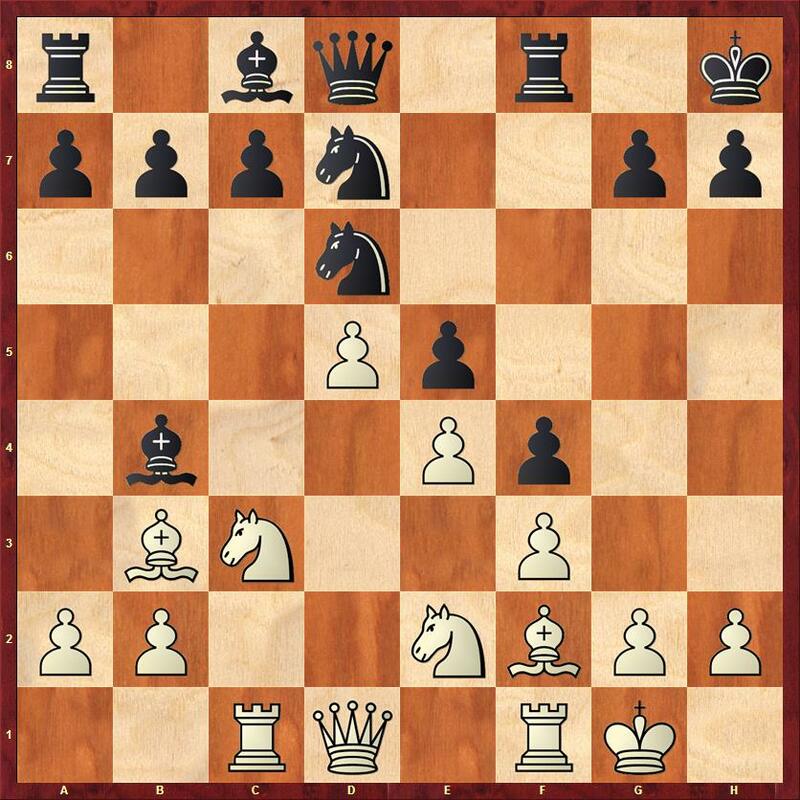 Rxf2 21.Rxf2 Rxc1+ winning a rook, however I had not appreciated how strong black’s position after 20.Bg3 Bh3 21.Rfd1 22. 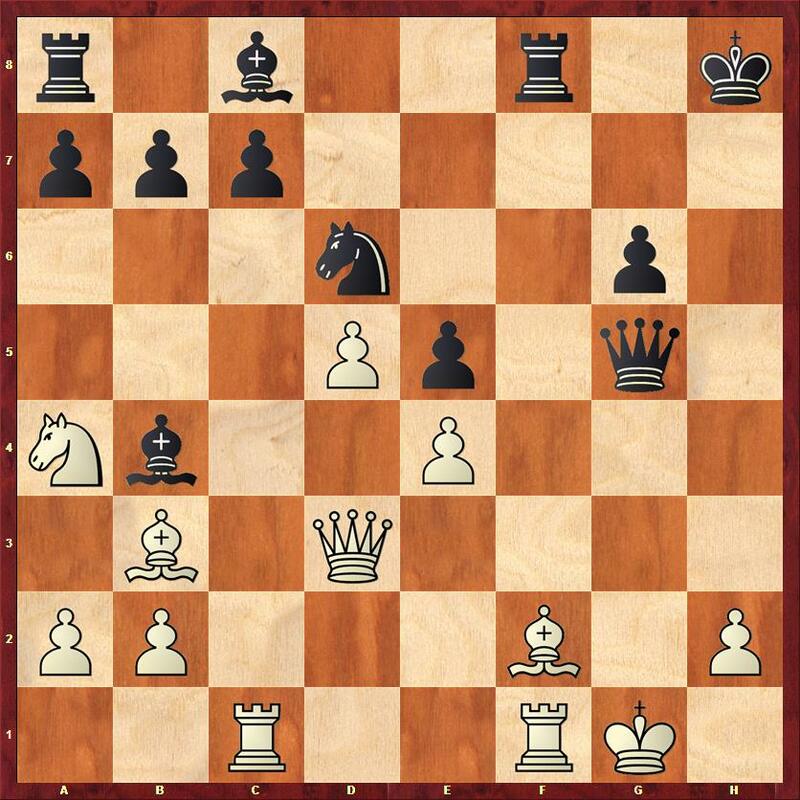 Qg4, and the arrival of a rook on the f3 square will decide the game. 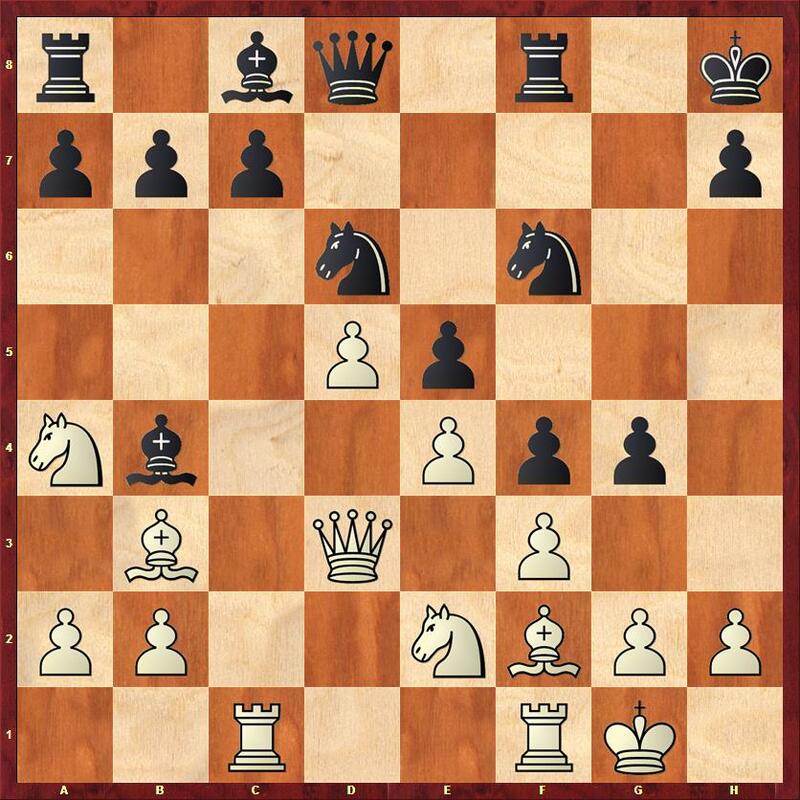 When 29… Nxd5+ 30.Ke1 Rxf1+ 31.Kxf1 Ne3+ won a piece. My progress can be followed at http://chess-results.com/tnr158554.aspx. Tomorrow’s opponent is Hatim Bendriss, a Moroccan player who does not currently have a rating.